Greece’s snap elections are a few days away. Many indicators suggest the result is still too close to call, either in terms of winners and losers, or regarding the configuration of any coalition government arrangement. Such suspense not only concerns Greek voters agonising over why they should have to vote for the third time in the course of 2015. The uncertainty and confusion also confounds polling companies in trying to make reliable predictions about the outcome on 20 September. By contrast, those observing the electoral campaign in Greece from the outside take a rather different perspective. For Greece’s eurozone partners and creditor institutions, the 20 September ballot is critical in many ways. They are trying to decipher what political direction the country will take and who will lead this process as prime minister. The rather measured commentary of politicians from creditor countries and institutions in Europe during this short electoral campaign is in marked contrast to the days leading up to the 5 July referendum. It appears they are applying the lesson learned from their misguided interventions ahead of the referendum, when the presidents of the European Commission and European Parliament, as well as individual representatives from eurozone countries, either threatened or lectured Greeks on the consequences of their voting intentions. These undignified and unnecessary political interventions into the sovereign decision-making process of voters did not sit well with the Greek electorate two months ago. Now there is hardly a word from representatives in Brussels, Frankfurt, Berlin or The Hague. The only comments they make continue to emphasise the obvious: working together with any government that sees the light of day after the elections in Athens and focusing on implementing the prior actions of the third macroeconomic adjustment programme. Nevertheless, this welcome restraint should not obscure the fact that these “outsiders” – if we may call them as such for the sake of the argument – care very much about every detail of the forthcoming Greek election, the impact of the televised debates and the outlook to forming a stable government after 20 September. After having witnessed for seven agonising months how the SYRIZA–Independent Greeks coalition was in the process of taking the country to the edge of an economic abyss, the desire for anything that prevents a sense of déjà vu is paramount in European capital cities. There is a sense of measured relief among policymakers in Berlin, Paris, Brussels and The Hague that the Greek issue – so dominant during the summer months – is not making front-page headlines, for the time being. In order to keep it that way, many representatives from eurozone creditor countries harbour the wish that these elections yield first and foremost a stable government with whom one can do business for a longer period of time. The prospect of repeat elections, as in 2012, is the worst-case scenario for all sides concerned. From the perspective of the outside participant observers, former prime minister Alexis Tsipras has a major political challenge to overcome, both domestically and vis-à-vis his European partners and creditors. In light of his track record in office from January to August 2015, he still lacks the credentials as a moderate reformer. But he has also been discredited as the presumed leader of a Greek-led protest movement against the austerity measures demanded by the international creditors. Any references by former Syriza ministers to the “Athens Spring” of 2015 is nostalgic small talk while trying to rewrite their disastrous accountability in office over seven months. The singular, confrontational approach advocated by Syriza after the January 2015 elections can hardly be heard in its current electoral campaign strategy. However, the leader of the largest opposition party, New Democracy’s Evangelos Meimarakis, cannot claim to be in much better standing with European policymakers either. A former defence minister and parliamentary speaker, he is still seen as a rather unknown quantity, difficult to judge in terms of policy substance, while his personal, fatherly style during campaign appearances has caught the attention of European observers. He may appear to be a safer pair of hands than Tsipras. But questions are being asked about the reform momentum inside the party he is trying to reposition in terms of credibility and reliability. Meimarakis is not a paragon of renewal. He is part of the old political elite in Greece, even if his popularity suggests that he can connect with the electorate. 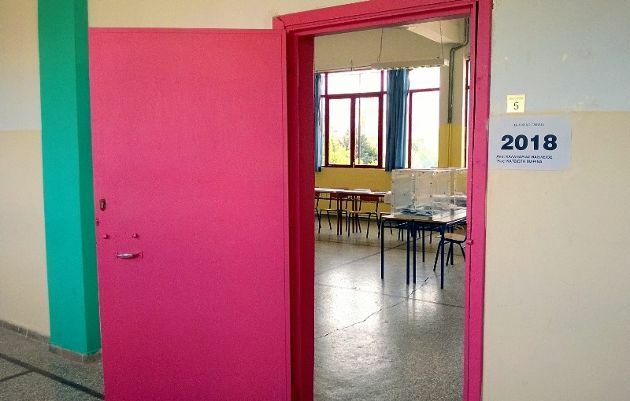 Those outside onlookers are also placing the Greek elections in the broader context of three important Mediterranean ballots, scheduled in quick succession during the next three months. They will be looking at any signals that may arise after the Greeks cast their votes, followed by Portuguese voters in October and the Spanish elections in December. These three general elections will tell the participant observers in Europe if there is any momentum left in leftist or left-leaning parties that are willing to challenge the political status quo in the eurozone. Given the numerous and simultaneous policy challenges which the European Union currently faces, Greece cannot afford to yet again venture towards self-isolation and confrontation with its peers on the continent. Establishing a sense of policy predictability and fermenting institutional continuity by a Greek government would already achieve much leverage in terms of rebuilding trust. The European observers of the forthcoming Greek elections are under no illusions about the arduous road ahead. Business as usual is not an option. Equally, the new administration in Athens will have to quickly establish a reliable and results-driven working relationship with its European creditors and monitors. What outside observers are looking for in Athens are political pragmatists and implementation architects, not ideologues keen on reinventing the wheel. It appears that many Greek voters share this objective with those Europeans looking in from the outside at the challenges and complexities of Greek (electoral) politics. 1. You can forget a broad coalition government as a product of this elections. There will be small and narrow coalitions instead. 2. Greece will not have a stable government no matter what. Schauble has made sure that going forward Greece will be in permanent turmoil. 3. Beginning w/ October of 2015 you will see changes in the sovereign power balance of Europe that will make your head spin. What will happen would be sudden and dramatic. Just like the waves splashing unto the shoreline rock time after time leave the rock intact but suddenly and without any prior notice the rock collapses into sand, permanently damaged and without any chance of regaining former form. "It appears they are applying the lesson learned from their misguided interventions ahead of the referendum"
More like, it appears they understand the result of the elections is essentially moot. Both parties who might win the elections have capitulated to the troika and bound the country to be a debt protectorate for at least three generations to come so, why should anyone care who will win the elections? All the major policy decision any government might take are already set in stone in the debt agreements, leaving only trivial matters for the elected officers to squabble about. Any external intervention would be essentially pointless.